This was the third book I have read by Jean Olwen Maynard and it will not be the last. 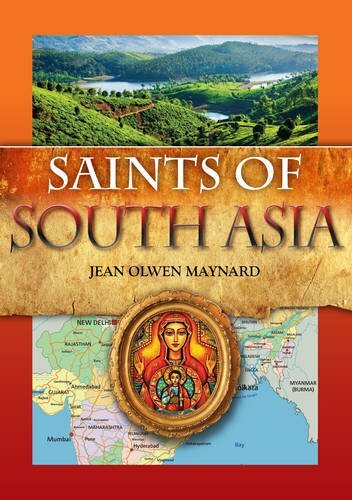 There are three books in this specific series from the catholic Truth Society and they are: Saints of North America, Saints of South Asia, and Saints of Africa. But there are some significant differences across the books. 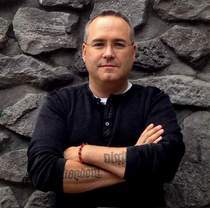 The one on North America Focused on regions and time and grouped numerous saints in each chapter. Where this book, and in the book on South Asian Saints, each chapter is dedicated to a different person, one is on a specific saint, seven are blessed, and a chapter on the Martyr Saints of Uganda. This book and the whole trilogy are incredible reads. 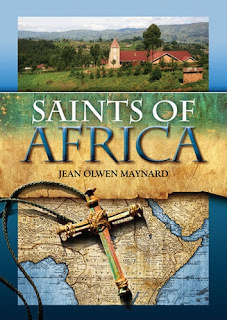 "The African saints that Catholics are most likely to have heard of even if they don't know much about them lived a very long time ago, and often in parts of Africa which are no longer Christian. In our own time, and in the more recently Christianised parts of Africa, the Catholic Church is growing faster than perhaps anywhere else in the world but what do we know about the modern saints of Africa such as Daudi Okelo, Clementine Anuarite, Ghebre-Michael, Victoria Rasoamanarivo, to name a few? Here's a chance to find out." "The Gospel of Jesus Christ began to be proclaimed in Africa at a very early date, but eighteen centuries were to pass before it made any significant impact on the sub-Saharan region. Why was this? There's no easy answer, but we know that God is the lord of history, and even when we can't fully understand the how or the why, it's important to know something of the course of events." "During a visit to Kisangani in 1980, Pope John Paul II met with Sr Clementine's parents. Julienne could hardly believe what was happening "I'm a poor woman and I've spoken to the Pope… Was it really me that gave birth to this saint?" During the beatification ceremony, in Kinshasa in 1985, the Pope repeated in the name of the whole Church her words of forgiveness for Pierre Olombe." "Blessed Daudi and Jildo, in your hearts burned an ardent desire to proclaim the Gospel, and through your martyrdom you strengthened the early growth of the Church in your homeland. Help us to become strong in our faith, and to share it with our brothers and sisters. Through Christ our Lord. Amen." This book is a little gem. As are the three in the series. After reading this book I have ended up adding a few books to my to be read pile, I want to go deeper and learn more about a few of the saints and blesseds presented in this book. I earnestly hope that this series will be continued possible with a volume on Saints of South America, Saints of Latin America, or Saints of Central Asia as a few possible future titles. I loved this book and all three volumes that are currently available. And am reading this book currently with my youngest daughter. I give this book and this series my highest recommendation. Another great read from the Catholic Truth Society!